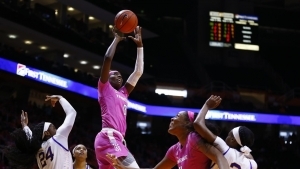 KNOXVILLE, Tenn. — Sophomore guard Rennia Davis tied her season high of 24 points to power the Lady Vols past LSU, 74-65, on Sunday afternoon at Thompson-Boling Arena for their annual “Live Pink, Bleed Orange” game. Sophomore forward Kasiyahna Kushkituah added a career-high 14 points and eight rebounds, while Zaay Green finished with 10 points and five assists. Davis also racked up seven rebounds while notching her fourth 20+ point game of the season. True freshman Jazmine Massengill also registered a career-best 12 points. The Lady Vols sparked an 8-0 run to start the game behind a pair of jumpers from Zaay Green. 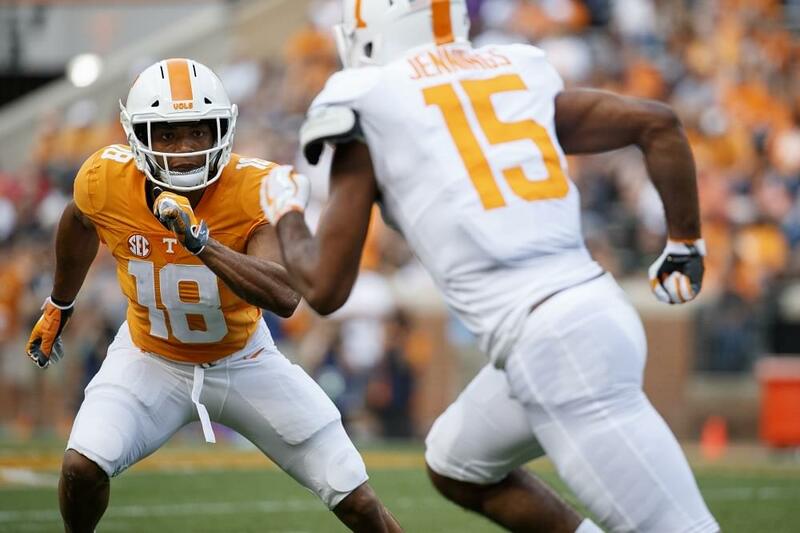 Tennessee forced four turnovers and held the Tigers in a scoring drought for nearly three minutes out of the gate. Midway through the first quarter, the Lady Vols had three players with four points on 6-of-9 shooting from the field and a 14-8 lead. Each of Tennessee’s five starters scored within seven minutes of play, as the Lady Vols forced eight first-quarter turnovers. Davis led Tennessee early on with eight points, giving the Lady Vols a 22-17 lead going into the second quarter. 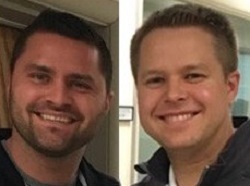 After playing more than three minutes in the second quarter, the teams had combined for just six points while committing a total of seven turnovers. Tennessee hit its stride by holding LSU to a two-minute scoring drought to take a 32-25 lead with three minutes remaining in the first half. Eight of the Tigers’ 12 points in the quarter were notched at the charity stripe, as LSU hit just 2-of-10 shots from the field. Going into the half, the Lady Vols tallied 16 points off turnovers, 22 points in the paint and forced 15 turnovers en route to a 36-29 halftime lead. Davis led Tennessee with 10 points at the half, while Kushkituah and Green each registered eight points apiece. The Tigers jumped out to a quick 7-2 run to start the second half, but a jump shot from Green got the Lady Vols back on track. Tennessee responded with an 8-0 run over the next minute, with an and-one from Massengill to cap it off and give the Lady Vols a 46-36 lead. Tennessee finished the third quarter with an alley-oop to Davis, who converted to give the Lady Vols a 52-43 lead going into the final quarter of play. 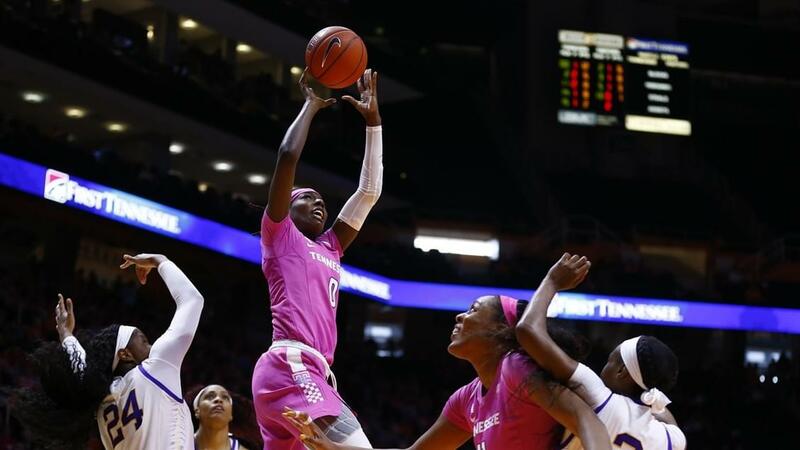 Tennessee held LSU without a field goal for the final four minutes of the third quarter, as Davis led the Lady Vols with six points and three rebounds. Tennessee was challenged early in the fourth quarter, as a 3-pointer from Mercedes Brooks of the Tigers cut UT’s lead to just three points. Davis hit a pair of free throws to give Tennessee a 60-52 lead at the halfway point of the fourth quarter. A Cheridene Green layup at the 4:12 mark finished a 6-0 run by the Lady Vols, who extended their lead to double-digits. Kushkituah gave Tennessee its largest lead of the game with a layup with under three minutes remaining in the game. The Lady Vols hit their final three shots from the floor to ice the game and notch the 74-65 win at home. Up Next: The Lady Vols play their fourth straight home game on Thursday, hosting Florida at 7 p.m. The game will be available for streaming online via SECN+. Back To Her Double-Figure Ways: With a season-high-tying 24 points, Rennia Davis logged her 14th double-digit performance and fourth 20+ effort of the season, breaking a four game stretch in which she scored nine points or less. She opened the season by scoring double figures in 13 of her first 14 contests.